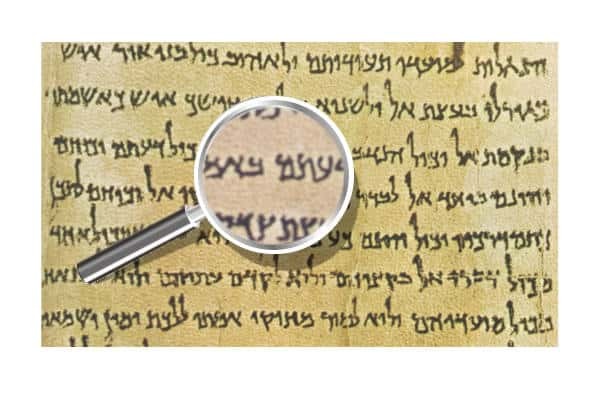 Critical examinations and reviews on ancient Jewish texts both inside and outside the Bible. Examining the nature, function, and history of angels in the Dead Sea Scrolls and two intertestamental books to find a connection with St. Paul’s reference of the tongues of men and angels. Paul and the authors behind the Dead Sea Scrolls, the Testament of Job, and the Book of Enoch are products of a milieu that believed in the divine interplay between angels and the worshipper. So, if one wants to find an answer to Paul’s mysterious reference about angelic tongues, the highest probability exists in these texts. The influence of Aramaic on ancient Hebrew typography. As shown throughout this blog, the Hebrew language was heavily influenced, and almost overtaken by Aramaic. In the first century, only in the southern reaches of Israel did the Jewish the population continue to speak in Hebrew (with a few exceptions of course). This influence is greatly shown in the shift in typography. 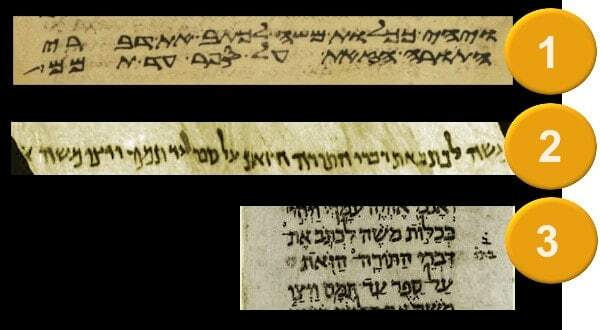 Although Hebrew was retained in religious texts, the handwriting was changed from ancient Hebrew to an Aramaic style. Not only was the script changed but Aramaic typography also became the formally instituted one. The ancient Hebrew calligraphy was later reserved for the Samaritans and their texts, whom the Jewish peoples historically greatly disliked. Capturing the spirit of first-century Judaism through the window of the Dead Sea Scrolls and the New Testament writings. The Dead Sea Scrolls give an important look into first-century Jewish life from a mainly Jewish-Hebrew perspective; a genre lacking until their advent. Most of our extra-biblical knowledge of Israel during the first-century was previously drawn from Jewish Greek and Aramaic writers. A 3000-year general history on the Book of Psalms numbering and divisional systems. The structural development of the Book of Psalms has an interesting and complex history. The results are the examination of documents spanning a 3000 year time period. The reader will be journeying through Hebrew, Greek, Syriac, Latin and English texts. Don’t worry. You don’t need to know the languages itself to join in this expedition. This work is designed for both the researcher and the passionate lay reader. Many pictures will be provided that will assist. One can marvel at the beauty of the handwritten text without understanding it. How the Jewish community adapted their religious system after the destruction of the temple in 70 AD. The loss put Judaism at a crossroads. The destruction meant an end to the sacrificial system – a concept central to Jewish life and faith. This forced the Jewish community to adapt. The best exposition and solution to this problem is by one of modern Israel’s great scholars–Ephraim E. Urbach. He covered this in his great work, The Sages: Their Concepts and Beliefs. Enclosed is his coverage on how the new Jewish identity had shifted from sacrifice to study and charity. (5) ’Avot de-R. Nathan iv, p. 18; see the notes ibid. (7) See my article ‘Megammot Datiyyot we-Ḥevratiyyot be-Torat ha-Sadaqa shel Ḥazal’, Zion, XVI, 1951, pp. 6 ff. 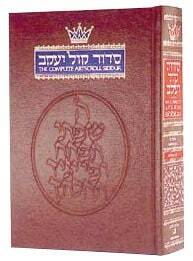 “Yochanan ben Zakai (Hebrew:יוחנן בן זכא , died 80-90 C.E. ), also spelled Johanan b. Zakki, was an important rabbinical sage in the final days of the Second Temple era of Judaism and a key figure in the transition from Temple-centered to Rabbinical Judaism. A detailed look at the nature and purpose of prayer from a Jewish prayerbook. A definition that sheds any superficiality and uncovers a deep and introspective rite that transforms the soul. The ArtScroll Siddur contains one of the best definitions of prayer found anywhere. A siddur is a Jewish prayer book that outlines personal and communal prayers for almost any occasion; life, death, loss, birth, success, and everything in-between. It is written from an Orthodox Jewish perspective. The following is an excerpt. The present book divisions, chapters, verses and structure of the Bible were standardized in the sixteenth-century. One would think this would apply exclusively to the Christian editions of the Bible, but has been administered retroactively to ancient Hebrew Bibles as well. Most would assume the Hebrew Bible is so old and carefully guarded that the text has been standardized for almost 2000 years. This is not so when it comes to book names, chapters and numbering. The Hebrew versions popularly available today are considerably different from the Dead Sea Scrolls when it comes to format structure. Rashi, an 11th century French Rabbi, is one of the most important commentators of the Talmud and is central to the contemporary study of it. In fact, some texts of the Talmud are difficult to understand without reference to him. 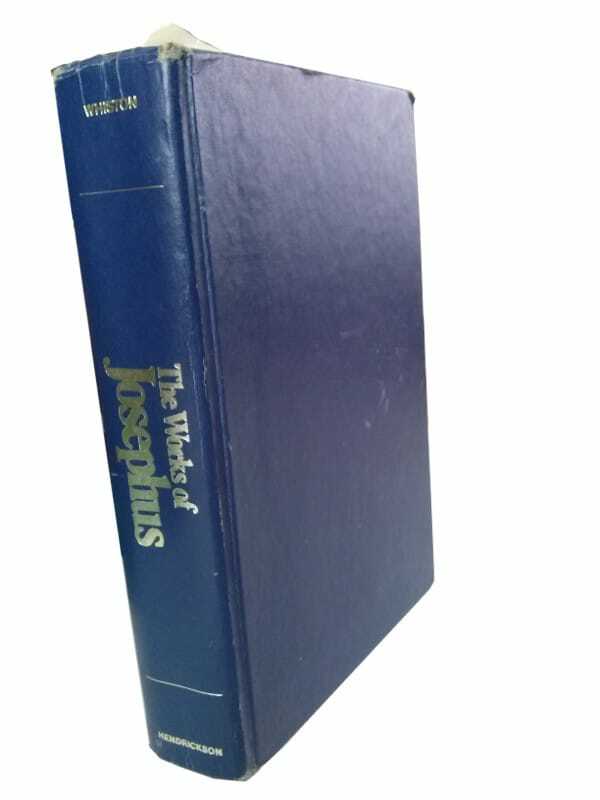 One would think that his works would be ubiquitous for the English reading audience, but English translations, outside of his commentary of the Torah, are almost non-existent. This forces curious researchers such as myself to look at texts in the original language, which in this case is a complex mixture of classical Hebrew, Rabbinic Aramaic and at a lesser rate, old French. A different method for learning Biblical Hebrew which may not work for everyone–learn modern Hebrew first. A look into those theory and how it applies to ancient Hebrew. Classical Hebrew, the text for the majority of the Old Testament, is only a small part of the available Hebrew writings available today. It doesn’t take much more effort to learn modern Hebrew over learning to read classical Hebrew texts. Utilizing the same amount of time learning modern Hebrew gives one a much more comprehensive toolkit.